Nowadays, career orientation; employment / job research and career management are challenges that must be faced both at a personal and at a social and economic level. These challenges are even more severe when society and people face economic crisis as the one we all face now. Within this framework, the first working group on Career Management Skills organized by the Institute of Entrepreneurship Development took place with the participation of career counseling professionals. Based on the experience of all people involved in building and professional orientation process, the participants attempted to identify the needs of those implicated in formation and orientation act, to detect methods, tools and efficient educational resources in management of the career. 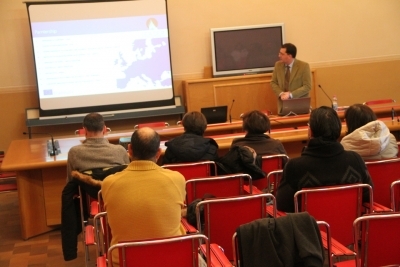 Since 2004, the University of Camerino has been involved in promoting teaching innovation supported by information technology, such as e-learning. Unicam uses Moodle platforms, a Virtual Learning Environment (VLE) open source that allows to create online the traditional classroom. Moodle allows to teach and interact with students through a multitude of tools designed and implemented in Didactics. This virtual environment is the basis of the project “Virtual Job Hunt”, the training section of the European “Bio skills in motion save the world”- EARTH - Leonardo Da Vinci, realized in the context of the development of longlife learning for graduated students interested in searching for a job or internship in an international context. 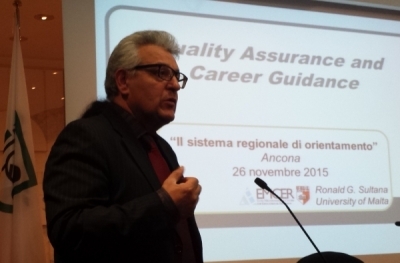 Quality, professionalism, technologies: the challenges of regional guidance systems Interview with Ronald Sultana. In Ancona (Italy), we had the opportunity to meet Professor Ronald Sultana, University of Malta, director of the Euro-Mediterranean Centre for Educational Research. He is one of the world's leading experts in career guidance. Professor Sultana, in Italy, as in other contries, Regions, Cities and Local Authorities are engaged in the construction of local guidance systems to help people to choose and manage their educational and professional careers throughout their lifetime. A great challenge for the future: what do you think? After one year of activities of research, the international Consortium of the European project LE.A.DE.R., promoted by the University of Camerino and Centro Studi Pluriversum has devoloped a common framework on Career Management Skills (CMS). This new concept is crucial to design, develop and assess career guidance interventions and services. The International Training in Barcelona (April 2016) will be a great opportunity for teachers, guidance practitioners, educators, tutors and trainers from all Europe, for sharing ideas, for learning new career guidance models and for testing guidance tools and training resources. 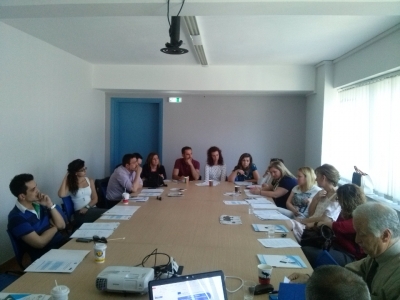 The main aim of this international "twinning training" is learning from each other's the methodological and pedagogical aspects of a new "Career Management Skills" framework as base for a European Lifelong Guidance System. Please fill out this form to join the conference. The level of disorientation of young generations is growing in our modern society based on knowledge and complexity, expecially in time of crisis. One of the main evidence of this is the rate of NEETs in Europe. The term NEET is used to describe young people who are not engaged in any form of employment, education or training. The term has come into the policy debate in recent years due to disproportionate impact of the recession on young people (under 30 years old). The unemployment rate for those under thirty is nearly double the average rate. 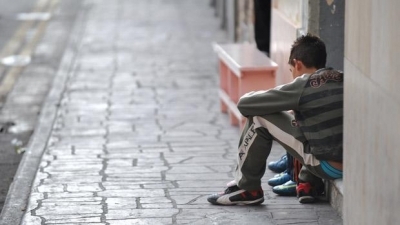 Some 14 million young people are not in employment, education or training across the Europe. 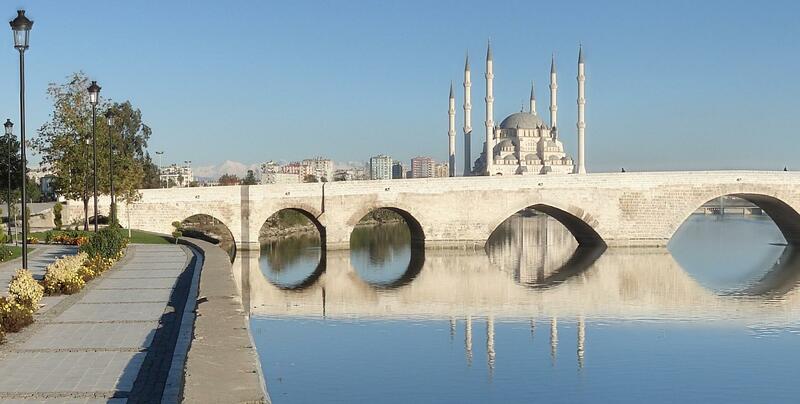 There are great differences among regions and countries. Rates vary widely from around 5.5% of 15-24 year olds in the Netherlands to 22.7% in Italy (Eurofound - http://eurofound.europa.eu/it/emcc/labourmarket/youth). For young people from an immigration background the risk to become NEETs is 70% higher than nationals. Also having a disability or health issue could be also a strong risk factor. The economic cost of not integrating NEETs was estimated by Eurofound at over €150 billion, or 1.2% of GDP. Some countries, such as Bulgaria, Cyprus, Greece, Hungary, Ireland, Italy, Latvia and Poland are paying 2% or more of their GDP.